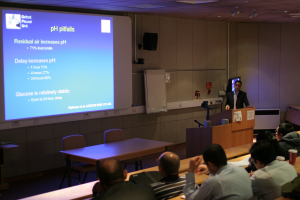 The UK Thoracoscopy Course is a postgraduate course run annually on one day and is now in its 17th year. 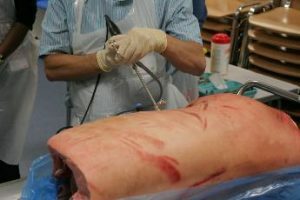 It has been designed to educate both respiratory medicine consultants and registrars in the basics of thoracoscopy. It complements the pleural diseases course, but is run by the team at King’s Mill Hospital. The course is approved through the Royal College of Physicians (London) for 6 CPD points.